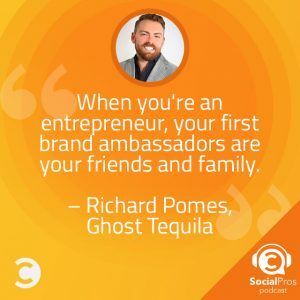 Nick Hasselberg and Richard Pomes, Marketing Manager and Founder/CMO at Ghost Tequila, join the Social Pros Podcast to discuss how they built a social brand from scratch through guerrilla marketing and on-the-ground engagement. When a brand is initially created, they start with exactly zero followers, zero likes, zero views, and zero fans. Building a social strategy from a goose-egg is a daunting prospect for any content marketer. Nick and Richard have discovered an approach to marketing their brand new brand in a regulated environment that cultivates engagement and builds loyalty from the ground up… literally. Their guerrilla marketing tactics involve starting engagement on social and then taking it to the streets with bar crawls and tasting at the hot spots in town. This not only provides content for their social channels but also helps them identify ambassadors of the brand from the customers and bartenders they encounter. They have also learned that while talking to the current state of the brand is important, it’s knowing and sharing the brand’s origin story that moves the needle. Staying true to the brand history keeps social campaigns on message and aligned with the product. Nick, what’s your one tip for becoming a social pro? Make sure that, whoever you’re working with, you have an obvious understanding of what your brand is. Don’t say things or create campaigns or speak in a certain way just because you think that your consumer is going to like to hear it. Be true to whatever your brand is. Be true to that proposition from the very beginning. Richard, if you could do a Skype call with any living person, who would it be? Anna Shapiro, Artistic Director of the Steppenwolf Theatre Company in Chicago. Steppenwolf figured out how to sell theater to the masses, which was not to sell theater like theater. They figured out how to sell theater like an event and a community and an experience. Jay: Welcome everybody to Social Pros, the podcast for real people doing real work in social media. I am as always Jay Baer, founder of Convince & Convert, joined once again, the reunion tour ladies and gentlemen, by my special Texas friend. He is the executive strategist for Salesforce Marketing Cloud. He is from Austin, Texas, yours and mine, my cohost Mr. Adam Brown. Adam: Jay, is that really you? Jay: It's been a long time and it's busy season. I'm traveling. You're traveling. Everybody's traveling. We've done a lot of shows, one-on-one, and we're back baby. Back. Adam: Reunited and it feels so good. Peaches & Herb. Jay: You are Peaches. I'm Herb. I love it. Adam: We're now going to have to pay an ASCAP or BMI fee for that stuff. Jay: We'll have to link that up in the show notes, the Peaches & Herb reference for all our younger listeners. I could not be more fired up about this episode because we are singing from the Jay Baer script. As you know Adam, as some of our listeners know, it is topical and timely. I am a tequila guy through and through. 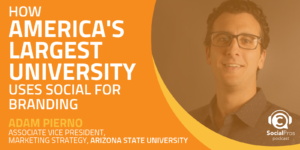 Started at the University of the Arizona, down there by the Mexican border. Now in Indiana, my tequila supply is not quite as effervescent. 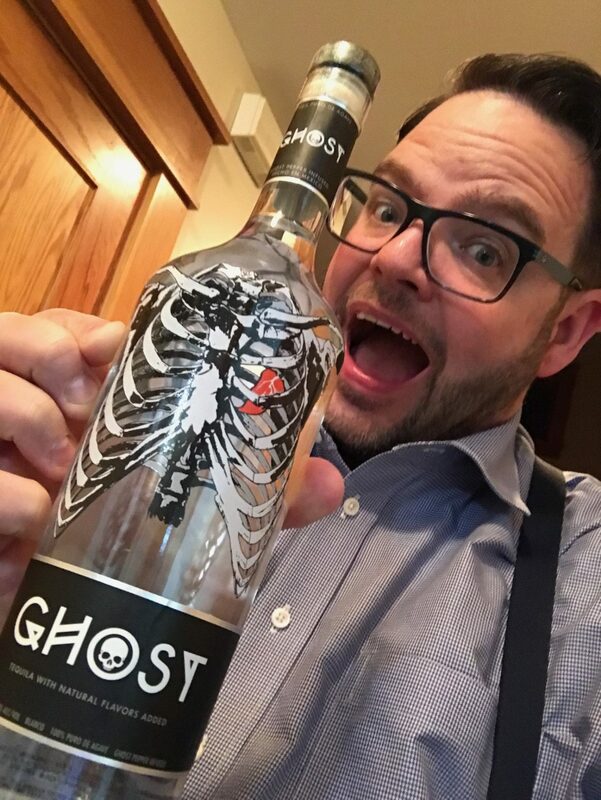 I discovered through a mutual friend a brand new tequila brand called Ghost Tequila, which is notable and fantastic for those reason, Mr. Adam Brown. Can you imagine a world in which your tequila is infused with a delicious spiciness of ghost peppers? Can you envision that? Adam: Of course, as everybody knows or many know, I'm in Austin, Texas, the mecca of Tex-Mex food. Being a little bit closer to the border. To do some research, family went out for Mexican food last night. While I didn't have any Ghost Tequila, I do feel like I am getting closer to your level of expertise on the subject. Adam: I'll write off last night's dinner. That was the only reason for that. Jay: We have to do a podcast. I'm going to put that on our taxes. We are joined on the show today by two every experienced, very intelligent, very fun guests who are driving the creation of the Ghost Tequila brand and spreading it all across this great land of our here in the United States. Richard Pomes is the CMO and co-founder of Ghost Tequila. He is also joined today by Nick Hasselberg who is the marketing manager. Gents, thanks so much for being on Social Pros. Richard: Thank you. It's an honor to be here, guys. Thank you for having us. Jay: We are delighted. 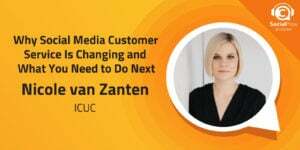 This is going to be fascinating because many times on the show we talk to social media managers, marketing managers, CMOs of large brands that have been in market for years and in some cases decades. Now we have the exact opposite story, which is how do you take a brand, you create it out of thin air, and introduce it in the market mostly using social media in a regulated industry. Adam and I are fascinated to have you on the show. Richard, could you give us a little bit of background on the genesis of Ghost Tequila, how you came up with the concept and sort of where it stands today. Richard: Sure. Sure. One of my business partners, there's three of us, his name is Chris Moran, he was a bartender in Boston, a professional bartender who is well-known in the city. He worked at a tequila bar that had a hundred something tequilas on the back shelf. Consumers weren't going into that bar and ordering tequila. They were ordering vodka cranberries and shots of Jaeger and blah, blah, blah. He got frustrated because he wanted people to drink all the great tequilas he had. He started playing around and mixing different things to try and get the Joe Shmo, the everyday man, to want to drink tequila. Through lots of experimentation and trying differing things, he came up with this recipe that people far and wide throughout the city of Boston loved. People were coming in just to try this thing that he made. It was a spicy, and a little bit sweet shot of tequila, but he was also putting it in cocktails and things like that. That was the genesis. The formula, the recipe is different than what that original was, but it has ... That's where the roots were at a tequila bar in Boston. He teamed up with another business partner of ours, David Gordon. David owns a chain of retail stores in the northeast and then they found me, and we all kind of got together as a team and said, "Let's do this. Let's put together the perfect team." Nick was the first hire we made. He was the perfect addition to the team. The original concept really started out as this sweet and spicy tequila shot/cocktail that evolved into something that we think can take the world by storm if we're right. Jay: I think it can take the world by storm because as somebody who has had the pleasure of drinking Ghost Tequila, the guy sent me some samples, thank you very much, it is really well done because it's spicy, but not overtly so. It actually kind of gets you after the swallow a little bit. It's sort of a faint, but noticeable ... Just a really nice level of spice. It's really well executed and is so great in cocktails or any sort of mix, right, with orange juice or pineapple juice or nucuisine pineapple coconut water I think is what he was working on. It's very versatile. It is much more versatile than if somebody just said, "Hey, imagine tequila with ghost peppers in it." You'd be like, "Oh, that seems like a very specific time when I would drink that," but it's actually really terrific for margaritas, all those kind of things. I think it has tremendous potential as somebody who has drank a lot of tequila in my day, I really, really like it. Richard: One of the sales pitches that we like to give when we're out selling is if you go to the college and the dive bars, places on 6th Street, they're very often shooting it straight or with beer or making Mexican candy shots by adding some watermelon flavor in there. Then when you go to the Mexican restaurant, its spicy margaritas. You go to the brunch places, it's Bloody Maria's. You go to high end cocktail places, they might be doing a Negroni, a Mexican Mule, things like that. It is very versatile. It's very utilitarian in that regardless of what kind of bar or restaurant you own or manage, you can do something with it at every level. Jay: I was going to ask you about that. Let me ask two questions. First, just to frame it up for listeners of Social Pros, it's not nationally available yet. You're moving it sort of market to market, east to west, more or less. Jay: Not everybody will be able to get it today, correct? Richard: Well we are rolling it out state by state. It is a very slow process. We're in six states currently, Massachusetts, Rhode Island, Louisiana, Texas, and California. Don't hold me to this, but with Colorado and Illinois coming within the six months to a year, but you can order product online. If you go to GhostTequila.com, you can order anywhere in the country and they'll ship it to you. Technically, you can get it anywhere right now. Jay: Yeah. Do that, ladies and gentlemen. Go to GhostTequila.com. Get yourself a bottle. You will enjoy it. You mentioned this roll out process and the spirit being versatile for a bunch of different types of bars, sports bar, brunch place, cocktail bar. As you roll out a new beverage like this, is your customer the drinker or the bartender? Jay: I had thought about that consistent spiciness. That's really fascinating, this idea that if you're going to typically muddle your own jalapenos or some other chili in a tequila concoction, you're not going to have necessarily a consistent spiciness because the bartender may add more or less. Peppers are by definition variable in their spiciness even within type. This idea that hey, if you get one made with Ghost Tequila, you know what you're going to get as a consumer and also as a bartender making them and that other point you made, Nick, about hey, you can make it faster. As a bartender, you're not having to do this whole other step of muddling. It's already spicy, so you can turn your drinks faster as well. Richard: Exactly. I wanted to add something specifically about the bartender aspect you brought up. This doesn't just apply to us. This applies to any liquor brand. The bartenders are the gatekeepers, and they often decide which liquor brands live or die because a bar manager can order anything. If the bartender doesn't like the product or doesn't know how to sell it or doesn't recommend it, you're going to die on the shelf. For us, Nick is absolutely right, it's consumer and bartender. There's a different strategy for each one, right? When you're specifically talking about, especially on-premise which are bars and restaurants, it's really important very early win those bartenders over and not just from a sales standpoint, but from just old school, like becoming their friends strategy. If you don't get them early on, you're dead in the water. Jay: Let's talk about the social media side of this for our audience, Nick. It's fascinating to me the premise of launching a brand in social media, and social media is a big propellant of the popularity of Ghost Tequila and other similar spirits and I want you to talk about that, but you start from zero. You start from hey, let's create an account, which has happened in the past, but we're far enough along here in the evolution of social that most people and most listeners haven't started from zero friends and followers for quite some time. In the modern age, in 2016-2017, how do you do that? How do you say, "Well we have no fans, no account. We have nothing, but a logo." What's been your approach? Nick: That's a great question and I know Richard will want to expand upon this. From my perspective, you're talking about your story and your beginnings when you first create that account and leveraging your own personal networks in order to just shore up a small base and contingency to help really propel the brand with you. Hopefully you have enough friends and family to serve as evangelists for your brand where that's kind of your base. As we've expanded beyond just talking about, "Hey, here's our new production line and hey, this is our very first placement in an account and oh my god, we're finally on a menu," those are big wins for us and they help to really generate the sense of inclusiveness with our audience. As Richard talked about with the strategy, we don't just talk to bartenders because they're the gatekeepers. We were created by a bartender, so we have an allegiance and alignment with them. In talking with them, in meeting with them, they're content for us as well. Their stories, their drinks, anything else that's in the bar that's worthy of showing, that starts to become part of our content as well. Then you have the consumers that love those bars and because we're affiliated with them, now we start to reach even more consumers. That's the way we started from zero to get to some level of an audience within social. I'll let Richard fill in some of the blanks that I missed. Richard: Yeah. In the first couple weeks, maybe the first couple months actually, all of our followers were friends of the owners of the company. I believe that when you're an entrepreneur, when you start a business or a product or what have you, your first brand ambassadors are your friends and family. They are the ones who are going to be excited for you and say congratulations and how can I help. I'm from New Orleans and Chris and David are both from Boston. When you look at the Facebook analytics on the backend and it shows ... You know how Facebook shows you where all your followers are in which cities? I mean it is the majority of those people are Massachusetts and Louisiana, which makes a lot of sense because in the first couple days, you just hit invite on all your friends and share it to them. In those early days it's just like, "Hey friends and family, can you help me out," and then expand from there. Allow those people to be advocates for you. Give them the tools that they need to invite their friends and their friends and so on and so on. It's simple sharing you know. Jay: One of the things that's very popular now in content marketing and social media is the use of "influencers" because it's harder to achieve organic awareness and free reach. Certainly in the introduction of a new liquor brand having influencers and advocates and people in bars sort of talking up the beverage is a tried and true success equation. I know that's something that you're doing with Ghost Tequila. I think you call them tour guides if I recall it correctly. Can you talk a little bit about that program and how you find those people and then what is their responsibility or challenge in terms of using social media to document their presence in a particular location, et cetera? Nick: I guess I'll start. This is something that we had borrowed from Richard's prior experience working with Fireball. This is kind of the 2.0 version of that. I'll talk about finding these people. Our tour guides are not people that we're finding via social. We are identifying these people on-premise. When Richard or our partners, Chris and David, are out, or I'm out or anyone else in our company, these are people that we're scouting on the ground. As we identify these different people, part of the screening criteria is they're following on social, but there's such an in person element to it. It's actually quite hard to find the perfect tour guide for us, but once we do, there's a lot of investment in making sure that they have everything that they need. When it comes to their focus on a night out, they're crystal clear. Those are our influencers on the ground and certainly with social they help provide followers and they provide content to us as well. I think the point for us is we care so much more about that in person element. Then when it comes to social, this is something that we, Richard and I, actually find ourselves training them on. Richard: Yeah. I think it's worth mentioning, Nick, you used the term tour guide. A tour guide is what we call one of our brand ambassadors or all of our brand ambassadors because it's a play on Ghost Tour. Also, our whole brand ambassador system, the tour guide system, is all about leading people through the city. We don't like to be stationary and hang out at one bar and do a typical "promo." Our whole thing is taking the city by storm and moving through it. Almost like we're taking the people with us as we go to our favorite account. Anyway, I just mention to people listening that's why we call our brand ambassadors tour guides, so if we use that term. Jay: Do people sign up for those? Does a consumer say, "I want to go on a Ghost Tour with the Ghost Tequila tour guide," and that's going to be sort of a crawl around different facilities or is that just sort of happen organically Pied Piper style and end up Conga lining people around the city? Nick: We treat it as almost a live update. All of our tour guides, whenever they go out on a tour, we are promoting it instantly across all different platforms. There's different elements of our brands, but one for sure is this appreciation of the present and hey look, it's 7:00. You don't have plans. Drop everything and come find us because we'll be out all night pouring shots, drinking, having a good time. Come join the fun. That's just one of sort of the parts of our brand proposition I'll say. Jay: Is there a role for paid social in the current strategy launching the brand? Are you doing paid Instagram, paid Facebook, paid Twitter, that kind of approach at this point? Nick: Yes. Through our tour guides, this is usually organic, because the type of content that they're producing, it's really more of content that we're using for our current followers. If you've already had an experience with a brand, you know what it tastes, you know how it tastes, sorry. Then as you're passing down the funnel, you're onboard with Ghost. You know who we are and we're using these tour guide updates as a way of saying, "Come back out and have us again," for new content, which we're using for recruitment of new consumers. There's certainly a lot more of a financial investment behind that. When it comes to some of the videos that we've been producing, one of them is called Summon the Spirit where we do a bar, a bartender, and their Ghost inspired cocktail. This is something that we heavily invest in and we invest it within our target markets because we feel that this is content that's not only engaging, but it's very educational as well. That is something that we feel can help recruit new consumers that don't know us at all. I think that's just an example of how we look at what we should invest in and what we should leave to be organic. Adam: Nick, I think that's something that's interesting to me because as you and Richard shared with Jay earlier, it's so rare for us to have on the show or for any kind of marketing case study a situation where you literally are starting from zero. No followers. No brand awareness. As Jay said, you start with a logo and a tweet. I'm curious what you found around different types of content that seem to be resonating with your audience. You mentioned the highly produced video content. Obviously we know that works, but we know there's a cost associated with that. Endorsements from celebrities. Reviews from tequila nuts like Jay. Endorsements from liquor experts or as you said the strong relationship you have with bartenders. What is that recipe for success that you are finding seems to work better in social media? Richard: You mentioned like tequila aficionados and people like that, liquor professionals. I don't know if I want to say lucky, but we've been great at capturing a lot of what I like to call old school press and that's driven a lot of people to our social media. Maybe this isn't answering your question because this isn't necessarily social media content, but we had an article in Bloomberg. We've had articles in several liquor focused publications. I've been on a few other podcasts. A lot of that stuff is driving people to our social media and then we are keeping them on our social media with the content. It's old school press, right? We've been great to be able to benefit from that. Nick, if you want to kind of answer the other side of that question about the social media specifically. Nick: Sure. Adam, like I talked about when we first started, it's such a light company. Everyone kind of does everything, focusing a lot on our story and just kind of the content that was available to us okay, we've got ... We're barhopping now or we've gotten a placement. All of that content is coming from the ground. It was growing very slowly. As we've come up with more variety, we've seen that our followership and our engagement has increased as well. I guess what I'll say is the perfect recipe has been the variety of our content and making sure that we don't overdo it. I think in the beginning we were focusing a lot on we're at this bar or come find us. What we really weren't paying a lot of attention to was just a basic introduction of who we were. We would be saying, "Come find us. Here we are. You can make this," but there's a lot of consumers that just simply didn't know, "Okay. What do you stand for? What do you taste like? What's your point of view as a brand?" Just providing some of those different elements to provide a more full some picture. Everyone's always so busy, but as we mature and the more we're able to focus on those different elements that really provide an education for consumers, we're finding that those are quickly, quickly devoured and they're helping to expand our audience and provide deeper engagement. Something that I will say is as you talked about influencers, Jay, something that we are focusing on in the very near future is moving more towards a system where like our brand ambassadors are the ones that help provide us content, I said it earlier, those aren't people that necessarily had a huge social media following to begin with. They have their own audiences, but not that huge amount of impact like when people talk about influencers today. What we're moving towards now is more of identifying people from different walks of life that can have a relationship with our brand and not endorsing it in a way of giving a product review, but actually working as content generators for us. An idea would be we know of a chef here in Boston who recently made this amazing cocktail with Ghost. He's at the Art Science Café. It was in a blood bag. It's for Halloween. It was unbelievable cocktail. Just looking at it, it was amazing. Having a conversation with him so that every week or every month we can have a new Ghost inspired cocktail in a crazy format and that's just one piece of the brand that can come from him. I think we're looking to shift away from updating people on how many bars we're in or the Ghost Tour including that, but also shifting to different perspectives of the brand from people who are influential within their own spheres. Adam: I think there's some ... Oh, go ahead, Richard. Richard: On a very broad level to try to put it all with a neat bow on it, to me there's two types of content that we do and it's the plan and the production value, the influencer stuff, which is strategize and plan it ahead of time and then there's the guerrilla "hey, we're at this bar." Right? Often the stuff that's coming in from our tour guides, that's pictures of bartenders holding the bottle. I think Nick's right. Moving forward to some extent it's going to be like 75-25% where the 75 is the plan content as we're getting bigger. We're still hanging on and maintaining some of that day-to-day guerrilla marketing "hey, we're in this bar," but it's going to take less of a focus as we become more ubiquitous. Because in the early days, you need to be saying, "Hey, we're here. Come find us," because we're gaining this grassroots following in these markets. As we get bigger and we're everywhere, you need less of that and you need more brand awareness and introducing the product to people just like Nick said. Nick: To add on to that, this is something Richard and I were discussing yesterday. I think that this kind of insight would cut across anyone in the CPG that has a business of our size. We are lucky in that we can be extremely high touch not only with social community management, but we can be high touch in our relationships with people on the ground. Really it's something that as we continue to grow, it's going to act as a beacon for us moving forward that we have enough feet on the street and we have enough support on social that we can move more towards polished finished planned content, but we don't lose that element of ourselves that has such an avid appreciation for not only our community, but also the bartenders that allow our brand to succeed and potentially thrive. Adam: Richard and Nick, what is it about tequila right now that is so hot? I really think and having kind of researched spirits marketing, I love spirits marketing because it really is about the branding. It's about the storytelling and obviously it's about a great quality product, but tequila seems to be kind of the hot liquor right now. You've got George Clooney that sold his ... Was it Casamigos Tequila to Diego, one of the large kind of liquor conglomerates for something north of $1 billion. Richard: We don't talk about him, Adam. Adam: Yeah. I can assume that. You've got other very big brands like Patron. They're owned by Paul Mitchell or founded by Paul Mitchell who basically made his billions in the hairstyling product industry. Tequila seems to be really hot right now. How do you as Ghost Tequila with this new fantastic product, upstart product now available on all these states and you said online, virtually anywhere in the world, how do you leverage kind of the momentum that tequila's having right now to really showcase and propel your brand? Richard: You got a thought, Nick? I can go ahead if you want. Nick: Yeah. Sure. I think that what's happening in tequila is that it's finally hit a threshold now where enough people have tried quality tequila. If you would ask someone 5 to 10 years ago, "Name me two tequilas," you would have gotten two answers, there's Cuervo and there's Patron. That's it. You either have the nostalgia tequila that is some goldish color that I had in Mexico or you have Patron, which is the most luxurious tequila that I have ever possibly thought that I could consumer with its own handcrafted bottle and its ribbon. What a beautiful package. Two completely different sides of the spectrum. Just like in all of these different liquor categories, we start peppering in between the spectrum. People are trying Blanco's now consistently. They're developing a repertoire, and a different consideration set or more expansive consideration set. They're becoming more educated. There's more knowledge. I think we're hitting that right now in stride where there's just a real appreciation for it because people are finding all these different things they didn't know about tequila. It's becoming a lot more than just the Cuervo-Patron category. You can also see this in the way that we look at Google trends. You can see us in the way that people are searching for tequila cocktails now. It's no longer searches for margaritas. Now there's searches for Bloody Maria's and palomas that I'm able to create from soda and Mexican Mules, which is a Moscow Mule, but with tequila. As people are becoming more educated, they're learning about different applications for it. What reinforces that even more is that bartenders are really loving using this product as well because it's getting so much better and there's so many new players that are offering quality brands. It's not just quality brands at high price points, but quality brands at lower price points like ours. I mean Ghost is a ... In and of itself, it's 100% agave tequila, which ... I'm not a mathematician, but it's the best that you can get when it comes to amount of agave that you have. We're at a pretty good price point. I mean you could find us in a store, depending on where you are, anywhere from $26 to $30. Where if you're looking to buy a Patron, historically you're going to be paying north of $40 for the same bottle. I think the categories growing now because good tequila is accessible at a lower price point. At least that's one of the reasons. Richard: The liquor industry likes to go through trends almost the same way the fashion industry does. In the '90s, there was the flavored vodka movement. We just recentness in the last like 15 years went through this crazy craft beer movement. In the last 5 to 10 years, we had a lot of flavored whiskeys around the whole Fireball thing. Tequila is the next big thing. A lot of people are also saying rum is about to go through a resurgence, but we are ... Ghost is at the cusp of this big tequila movement that's happening for all the reasons that Nick mentioned. Another cool thing about Ghost is that we've given it to a lot of people who say they don't like tequila and they've enjoyed it. What we hear a lot is, "Oh, that's not as bad as I thought it was going to be." That phrase doesn't sound like a ringing endorsement, but those people go back for number two and number three. Everybody has a terrible tequila story with college and spring break and I had one too. I'm from New Orleans. My terrible tequila story was during Mardi Gras. It's because, like Nick said, back in the day we only knew about Cuervo and Patron. We were having this low quality tequila because we weren't educated and we didn't know the difference between good and bad. Now all that information is out there. We're better educated. It's kind of like, "Hey, I know you had a bad tequila experience in college, but come back. Come back. We've got something that you can drink because it's not going to give you that nasty tequila burn that a low quality tequila has." Adam: Go ahead, Jay. Sorry. Jay: I was going to say, Adam, that for people who want to get that bigger brand side of the story, we've had Adrian Parker, who's the head of marketing for Patron, on the Social Pros Podcast in the past. Go to SocialPros.com and find the archives of that episode and kind of can get their take on a similar story. Jay: Oh no. No. Not at all. Richard: Okay. Good. What they've done is incredible. Jay: Adrian's brilliant. They've done some amazing stuff. The last time he was on the show, I think he's been here twice, the last time he was on the show, we talked about their new virtual reality goggles thing that they created. You can actually put on the goggles and sort of take a virtual tour of the plantation, which is pretty amazing. That's cool stuff. Richard: I read about what he had said about his new strategy about ... I think he called them The Knows or the "Bros" and the "Knows." Jay: "Bros" and the "Knows." Yeah. "Bros" and "Knows." Richard: I really like that. Not to pay him too much homage, but I thought that was interesting. Jay: I understand. He's a great guy. He was really good. Nick: I will go to toe to toe with him in a podcast whenever you guys want to schedule that. I'm just kidding. It's interesting though because with the way that he's segmenting his audience psychographically in that way, we're not large enough yet to do that. Really we just know who our target consumer is and we know that helps us refine our voice and our content. We think that beyond just having a tequila that offers something meaningfully different from a taste perspective, we're also trying to appeal to a totally different underserved consumer than tequila has traditionally catered to. I guess to take it into his word, if we have the "Bros" and the "Knows," how about someone that's just sort of somewhere in the middle. We're looking for someone who kind of rejects traditional branding. It's really not someone who's going to buy into aspirational branding. They're just a little bit more keen to it. This is something that Richard and I talk about all the time. It's almost like marketing 3.0. Marketing 1.0 is let's tell you these unrealistic things that this brand can do you for you. Like Budweiser is going to say, "You're going to be able to hit on any girl when you go to the club." That's 1.0. We're obviously away from that. 2.0 is experiential marketing and trying to crack that and talking about all these unbelievable brand benefits that are just so detailed that you don't know what they are, but they sound good. It's non-GMO. It's totally organic. I mean we've seen brands try to do that in the alcohol space as well, which is just really funny because we never would have thought that there would be such a level of detail with that. I think 3.0 when Richard and I talk about it, it's really more of let's get beyond being so holy about the product. Let's get beyond being holy about the experience. Let's just enjoy right now and let's see how we can create an immersive moment together. Kind of like a movement together. I think that's the way we think about our consumer and the types of marketing and experiences that would appeal to them. Richard: Yeah. Instead of the way we like to think about it especially when we're talking to the tour guides, is less about planning a promo, less about experiential marketing. It's basically just like go into a bar, see what's going on, and take advantage of whatever occasion is happening. This translates well to social media too, but find the people at the bar. What are they celebrating. It's somebody's birthday. It's just Friday. Somebody just got married. Somebody just got divorced. Find those people, what are they celebrating and take advantage of that occasion. Like Nick said, it's very much what's happening right now as opposed to trying to plan some kind of big experiential thing that we need to draw people to. Nick: I think the goal is like being almost kind of mimicking Red Bull's Street Team, but in a way that makes sense for tequila. I mean really we want to have ground control and have all of these different sort of units in every market that if we hear about something, that we can be there in a moment's notice to help facilitate that experience. Adam: I like that reference to Red Bull because I think Red Bull really adhered to kind of a marketing premise that all of us are probably familiar with. This idea you've got to build a category before you build a brand. They had to kind of say, "Here's what an energy drink is really all about." There's so many of their consumers before they could actually establish Red Bull. In your space with tequila, I recognize this. Like Jay, I've been traveling a lot internationally over the past three weeks. On both my roundtrip on Virgin Australia to Sydney three weeks ago and last week on British Airways to London, I realized that both of those, these are big wide body planes, had no tequila onboard. It made me realize that sitting here in Austin, Texas how regional perhaps the tequila industry is, although I know it's the fastest growing spirit in the United States. My question, Richard and Nick, for you before we go back to Jay for some important commercials is not only have you had to kind of establish that you're creating a new brand from scratch, but for many of your consumers, they don't even kind of understand what tequila is all about. How do you do that, build the tequila category before you then start to come in and really establish what Ghost Tequila is all about? Richard: Yeah. Go ahead, Nick. Nick: Okay. Tequila's biggest markets are ... Its biggest market is the US. It drives a huge proportion of its money from the US and then there's also some from Mexico. I'm not quite sure. Outside of those two countries, it's unbelievably minimal. The reason for that has a lot to do with the romanticism sort of of Mexico. I used to work with AB InBev and we would talk about Corona and all the other Mexican imports. You would look at volume and awareness and brand equity and all these different types of measures of marketing and sales. You would see that the further away you are from Mexico and the less aspirational it is to you as a vacation spot, as a more relaxed way of being, the less likely you are to care about Mexican imports and the less likely you are to care about tequila as well. I don't imagine in the next 5 to 10 years we're going to be putting forth a lot of effort in trying to educate someone outside of these two countries. Well actually I would include Canada in it a little bit, but I don't think that we're going to be putting forth a massive effort to educate them. I will say all of our focus has to be within the markets that are near to us, but I will say that when someone comes over from one of these other countries and they try it, we usually always do our best to give them a bottle and then make sure they're taking it back to wherever they're from. In our small way, we're trying to send Ghost Tequila all over the world. Adam: Probably enough margin for you to just grow in your backyard is you have so much room to move that you don't want to get spread too thin geographically, right? Richard: Mm-hmm (affirmative). Yeah. Then we kind of have an added challenge of also educating people on ghost pepper and spicy tequila. There's an extra level added there, which makes this a little bit more fun, a little bit more complicated. Jay: Nick, when you're creating content in social, are you thinking that that's primary an Instagram driven phenomenon or Twitter or Snapchat given some of the demographics? What do you think in this date is the key driver of engagement? Nick: Traditionally it's been Facebook. You have access to a greater audience. The backend insights and reporting are just so much stronger to help shape where we invest and how we're doing. I think that as we become more funded, we have greater capabilities, as we continue to mature, I think that we will be seeing a lot more action and return on our investment by moving to Instagram. To be able to have capabilities to have high end, high quality production both in terms of a product focus, so new cocktails, new locations, but also experiences, Instagram is just more conducive for us to showcase those different elements of our brand and certainly with stories. That helps us handle that impromptu come out right now Ghost Tour that's a big part of our brand as well. Jay: Absolutely. Yeah. It makes sense. More Facebook now, but moving towards Instagram. I think that is a very inspired choice. 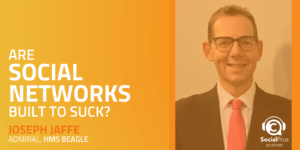 Speaking of inspiration, I am doing a webinar with my friends from Salesforce, not Adam unfortunately, but with other folks from Salesforce marketing on just a few days from now. It is in October. It is called Magic Moments: How To Create Inspired Marketing To Amaze Your Customers. All about how to create small interaction points that really make your customers amazed and how to get them to create content, et cetera. I'm going to do it with Tiffany Tooley who is the director of product marketing for Salesforce. Really excited about that particular webinar. I hope you will attend. If nothing else, if you can't make it live, sign up the to get the recording, et cetera. It is going to be on October 17th 2:00 Eastern. October 17th 2:00 Eastern. Magic Moments: How To Create Inspired Marketing To Amaze Your Customers. Go to Jay.MP/inspiredmarketers. That's Jay.MP/inspiredmarketers. If you missed that, you can go to SocialPros.com as always for the details and the links. Also, this week, the show is brought to you by our friends at Convince & Convert. Actually this one's from Salesforce as well. I forgot that Salesforce created this one also. 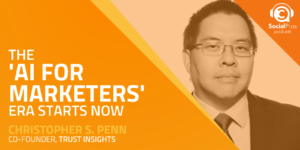 Really great eBook called More Than Marketing: Exploring the 5 Roles of the New Marketer. A breakdown of all the essential marketing skills that we all need to possess to continue to have a job going forward. There's interviews and there are stories, interactive features, et cetera. It's really fantastic. Go to CNC.ly/newmarketer. That's CNC.ly/newmarketer to get that free eBook More Than Marketing: Exploring the 5 Roles of the New Marketer. As always, go to SocialPros.com for links to the Ghost Tequila website, for links to the webinar, links to the eBook, et cetera. Adam, back to you. Adam: Jay, thank you so much. Richard Pomes, CMO and co-founder of Ghost Tequila, and Nick Hasselberg, marketing manager of Ghost Tequila. So great to have you on Social Pros. I think Jay and I are especially enjoying not just the topic, but again this whole idea of you creating and nurturing a brand new brand like Ghost Tequila and that kind of leads me to my next question kind of around measurement. Now most of you had noted that a big portion of your marketing activities are in and around social. That makes attribution a little bit easier. You can kind of correlate what you're doing in social media to successes you have with additional trials, additional case sells, et cetera. I'm curious if you kind of go one click deeper, how are you kind of looking at performance and looking specifically at what you're going on Facebook perhaps versus other platforms? You mentioned preferring Facebook right now in many cases because of the analytics, because of the data they're giving you. Nick, I'll start with you. How do you approach kind of measurement and ROI for your social programs? Nick: That's a great question. When you're first starting out, it's really tough to do so. You try and receive benchmarks from other brands or just try to get a sense. I've even tried to build a model myself starting at case sales and trying to find what would be my highest absolute cost per click and trying to guesstimate conversion percentage, an ideal conversion percentage, and all of those are just completely theoretical. The truth is that you go without really studying it for a little bit just to kind of test and see what works and sticks. Around at the eight month mark or maybe earlier, we did a giant audit on ourselves. We analyzed every different type of post that we had made even though when we were making those posts, we didn't really have a strategy necessarily. We had a guiding light, but we certainly weren't codifying or categorizing what we were posting. We went through that exercise. We took a look at how those different content types they performed against one another. We looked at the frequency of them. We looked at engagement and what we were spending behind and what we weren't. We went from there. It was through that audit that we had realized that we needed a heck of a lot more variety and we needed to focus more on educational material as well as more brand proposition, brand story stuff. As we move forward, it's a lot easier to see what's successful and what's not because we've had roughly 10 to 15 campaigns. We know what a good engagement rate is. Today that's been our best analog to conversion is looking at engagement percentage. We've been doing some campaigns now that are ... Now that we're finally able to allow consumers to buy Ghost and have it shipped to them, that helps a lot with looking at campaign effectiveness. Getting some sense of attribution. I didn't think we mentioned this, but we work with a company called Drizly. It's a great company that offers on demand delivery for alcohol. They're in a ton of markets, but we work with them quite a bit. As of late, we've been able to look at conversion from our marketing and then our consumer ending up ordering through Drizly, but we've been able to look at conversion through that as well. Adam: Richard, I know this isn't your first and Nick, you too, but Richard, I'll go to you. This isn't your first sprits game. You mentioned earlier on the show Fireball and working on the marketing and launch of that very successful product. As I sit here recording this in my office, I'm looking over at my liquor cabinet and see a bottle of Fireball over there. I probably attribute that to you. Curious kind of how your experience at Fireball and also your experience in the acting space has kind of set you up to what you're doing today with Ghost Tequila. Richard: I'll start talking about the acting thing. I believe that in any industry no matter what you do with your life, having some kind of arts experience is a good foundation for anything. Theater teaches you so much when it comes to how to talk to people, standing in front of an audience, even how to sell something. All the people that I know who I went to theater school with even if they didn't stay in theater, they've gone on to do things where they are communicating with people on a regular basis, as opposed to an office job. I think that theater really set me up for the advertising industry. A buddy of mine in New Orleans started a theater company right out of college. We were doing a bunch of shows that actually still exists today now about 11 years later. We were producing and acting in our own shows. When I kind of fell into the marketing world, I started doing some guerrilla marketing for music festivals, this is all in New Orleans, night clubs, bars, that kind of thing. That is what led me to getting the job with Fireball. The early days of Fireball, I started with them late 2009. I will say this. It's wonderful to be attributed ... To have a lot of the success of Fireball attributed to me and the team that I work with and that's fantastic, but I will say that it was a lot easier to do social media for a brand then. This was before you had to pay for content. This was before a lot of brands were on social media. I mean I think we created the Fireball Facebook page not too long after there were Facebook pages. You know what I mean? Because before there were Facebook pages, you had events and you had groups. Twitter wasn't super prevalent yet as being used in the tech communities, but even in New Orleans where I was based, Twitter wasn't that big. Did we do some great work? Yes. I'm not trying to undercut the great work that we did, but social media was a lot easier then especially ... I mean just at a very base level, you didn't have to pay for it. You could post and everybody following your page saw it and that made things a lot easier. I think we still did some really cool stuff with content. It's similar to Ghost in that we were doing a lot of "hey, we're at this bar" kind of thing that was really effective. We did a lot of barhopping where we would go to a new market and I would say, "Hey, this is where I'm going to be. I'm going to be on 6th Street in Austin tonight. Come meet up. We're going to barhop." The first couple times I did that we'd have two, four, six people come meet up and then a couple months in we'd have 15, 20. We haven't gotten there with Ghost, but that's something you're trying to treat it like ... I don't want to copy Fireball. I don't want to be a one trick pony. We're trying to innovate on that idea and do some different things, but I am thinking about that as kind of a measurement of success, like how many people can we get to meet us out based on social media. Social media is where that interaction takes place. A lot of brands in my experience just post social media content for the sake of social media. I know we talked about this earlier, but like social media really should be the first point of interaction and then it's like come physically join us in the real world. Get on your computer, learn about us, but then put it down and come out with us. That's something that we did a lot with Fireball and I learned a lot through doing that. That's something I want to continue. I don't know if I answered your question. I think I did in along roundabout way. Jay: No, it was great. Thank you. Nick, your background is fascinating as well. As you mentioned, you were at AB InBev, but even more interesting is, to me at least, is that you used to play football. You played semi-professional football in Italy. You went to Harvard and were an investment banker. Jay: Now are doing marketing for tequila. I don't know a lot about Harvard, but my daughters go to a lot of fraternity parties at Harvard now. I can tell you that. Other than that, I don't know a lot about it, but I do know that most people who are investment bankers don't end up doing marketing for tequila brands. I know that to be true. Jay: Tell me a little bit about that. Nick: Tequila oddly enough kind of saved me. Out of college, yeah, I mean I started out in investing banking like 90% of my peers. The prospect of making some money immediately out of college was irresistible. Especially coming from a team background, I thought who cares if I like it or hate it. I can outwork any of these people, so I should be fine. Then after about a year, I realized this was not going to work for me. I'd always loved marketing. 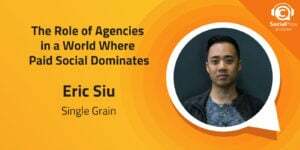 Then I ended up at an agency. It was actually under the Kantar umbrella. Biggest client was AB InBev. That's really where I got to learn about marketing beer. It was fascinating. I mean out of all CPG, it has to be one of the most emotional categories because people they gravitate towards any kind of product that can make them feel good or help them relax. Then after that because I had met somebody special, my wife, she moved to Boston, so I wanted to come after her. Luckily, I ran into Richard and Chris and David who were forming this amazing little company that was going to sell the next great tequila for spicy margaritas and I thought, "Hey, I can help out here. I've got a lot of experience." That's really where we are. I was working at the largest bulge bracket firm that you could possibly work at to about the smallest company that you could work at. It's been quite a ride so far. Jay: No kidding. Well the next thing is that when you guys get big and you need to get bought out by some giant company, you've got an investment banker on staff, so that will save you some fees. Jay: It's all going to come together. Nick: Strangely enough, I still work in Excel quite a bit. I am thankful for my year on Wall Street because I don't know how anything would have get done in this company without my Excel skills. Jay: I'll be in touch for Boston advice. Richard: I got to say Nick keeps this company together. Without him, I don't know we would get anything done. I know what I'm good at. I know that I'm good at talking to people and being in bars and being the face of the brand, but nothing would happen without Nick especially when it comes to analytics and budgets and manufacturing and things like that. Nick's awesome. I love Nick. Nick: Cool. I love you too, Richard. Thanks. Jay: We're bringing together, Adam. This is like more of a Dr. Phil kind of thing we got going on here. Richard: It's a love connection. Nick: You guys are like the human eharmony together. It's amazing. Jay: We are. That's it. I'm going to ask you guys the two questions we've asked all 287 previous guests on this show. I'm going to do it this way. I'm going to ask Nick the first question and then we'll finish with Richard. Nick, if you could give somebody one tip, somebody who was looking to become a social pro, what would that tip be? Nick: That's a great question. Jay: Start with a career in investment banking. That's it. Nick: I would say make sure whoever you're working with that you have a very clear understanding of what your brand is. Don't say things or create campaigns or speak in a certain way because you think that your consumer is going to like to hear it. Often people talk about authenticity all the time now. What that means from a consumer perspective is is this brand being real to who they are and they can sniff BS from a mile away. Just be true to whatever your brand is. Be true to that proposition from the very beginning. I think that's a great way to start out. Jay: Yeah. I love that one. Consistency as well. I've written a lot about how I don't like what Wendy's has done on Twitter with that sort of snarky, smarmy approach. It gets them a lot of traction on Twitter, but that's the only place that they are like that. To me it rings false because they're snarky on Twitter, but not snarky anywhere else including in the restaurants. To me it's an inauthentic brand position even though it works from a pure engagement rate perspective. Nick: Right. There's a difference between your impressions and then your quality impressions. I have a number of people that are hearing you, but is that really going to as you say, Jay, convince and convert? Jay: Yeah. Right. You're not selling ads, right? I mean you can't eat engagement. You can't pay your rent with retweets. I've tried to do that. It doesn't work. Ultimately you've got to drive behavior. In your case, drink and bottle and case sales and it's not ... Engagement doesn't necessarily correlate or cause sales. You hope that it does, but it's not a given. I think your point is really well taken. Richard, I'm going to close the show out with a question to you and gents, thanks so much for being on the podcast. Really I'm excited about where you're headed with Ghost Tequila. Thank you for sending me some. Keep it up. We'll get Adam some as well. I'm doing my job. I've made a number of converts already and I will continue to do so. Richard, if you could do a Skype video call with any living person, who would it be and why? Richard: Oh man. If I could do a Skype call with any living person, that's tough. It can't be a fictional character. Richard: That's tough. I feel like the answer should be something in the business world, but I almost feel like I kind of want to go into the arts world because I learned so much about how to survive in this world based on my arts background. I want to say ... I think he passed away recently. Well I was going to say Goldy McJohn who is the guy who founded Steppenwolf Theatre in Chicago. I'm trying to figure out who the artistic director is now. It would be whoever the artistic director is now. I think it's Martha Late now. I don't know. The point is is whoever the artistic director of Steppenwolf Theatre in Chicago is right now. What Steppenwolf did was they figured out how to sell theater to the masses. We kind of talked about this earlier about how you have to educate people on a new category. Before they even get the product in their hands, you have to educate them about the new category, right? Often the way I think about how to sell a liquor brand to the non-initiated is don't worry about selling the product. Sell the community. Sell the energy of the brand. Sell the culture. Sell the occasion like I kind of mentioned earlier about figure out what the occasion is in the bar. What Steppenwolf in Chicago really figured out how to do was not sell theater like theater. They figured out how to sell theater like an event and a community and an experience because a lot of people, the non-theater goer, hear theater and they're like, "I don't want to go see a play. I don't want to go see Shakespeare," but they figured out how to mainstream theater. There's something to learn there and that's something that we did with my theater company in New Orleans, Linola Project, was don't sell theater like theater. I feel like that organization, the artistic director of that company, the manager director of that company, although the founders are still alive, even the current managing staff, they know how to take product X and sell it to the non initiated person behind that who doesn't yet know about the thing that they would like if they knew more about it if that make sense. Jay: Steve Jobs said, "Nobody wanted an iPad because they had no idea what an iPad was until say saw one." Jay: No, it was great. No, it was fantastic. I love it. Jay: I appreciate it very much. It was very insightful. We will make sure that we link that up at the show notes SocialPros.com. You'll find a link to the Steppenwolf Theatre and their current managing team. We'll try and make that happen. We'll get you on a call, Richard, that's going to our goal. Richard: For you guys, I think that if you ever want to ... I know it's not a traditional business, but if you ever think about having a podcast where you interview somebody in the arts community who has become a very successful business because as we know, arts businesses often don't make a lot of money. If you ever want to interview someday in the arts community, I would very much suggest reaching out to Steppenwolf. I think they have a lot of insights to give you about that world. Jay: Thank you. That's a terrific recommendation. We will pursue that. We're always looking for interesting guests here on the Social Pros Podcast. Like the two of you, Richard and Nick, thank you so much for taking the time. Really appreciate it. Love where you're headed. Ladies and gentlemen, GhostTequila.com. SocialPros.com for the show notes on this episodes, links to the things we talked about here, as well as our fantastic sponsors. On behalf of Adam Brown from Salesforce, I am Jay Baer from Convince & Convert, and this my friends has been Social Pros.